SIOUX CITY, Iowa (AP) — Sen. Kirsten Gillibrand introduced herself to Iowa Democrats on Friday as a common-sense fighter for family, and especially children’s, issues, in her first visit to the early-voting state as a 2020 Democratic presidential prospect. Unlike some of her potential rivals, the New York senator was starting from scratch in a state where few Democratic activists have a strong impression of her and where some say she’s known more for criticisms of her. 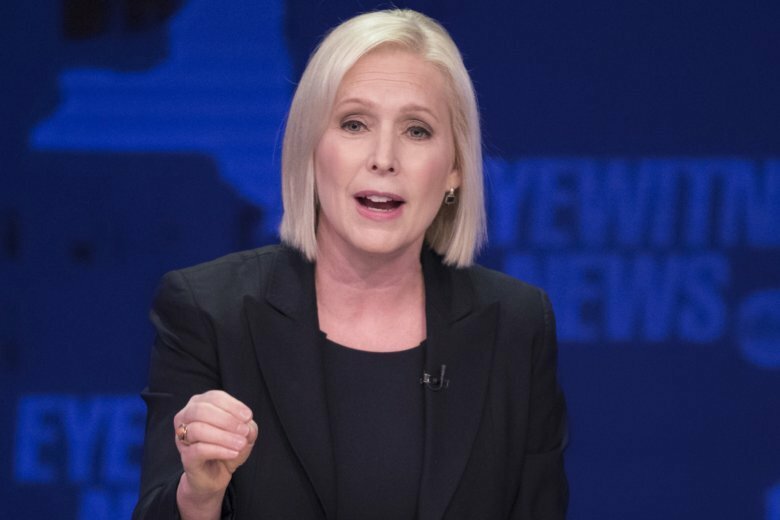 Gillibrand, who announced her intentions to run on “The Late Show with Stephen Colbert” on Tuesday, wasted little time getting to the state where the 2020 caucuses launch the Democratic presidential selection process. Gillibrand initially positioned herself more in line with the conservative House district she represented before 2009, when she replaced Hillary Clinton as New York’s junior senator. She was scheduled to make a variety of appearances Saturday, including coffee-shop and brew-pub talks in Ames and Des Moines, as well as speaking at the Women’s March in Des Moines. She will also be meeting privately with party leaders and influential Democratic activists along the way. Gillibrand’s Iowa trip is the beginning of her journey to introduce herself to more Americans outside New York, which she has represented in Washington since 2006, first as a congresswoman and then as a senator. She has distinguished herself in the nation’s capital with her outspoken opposition to President Donald Trump and her forceful advocacy for victims of sexual assault and harassment. New Jersey Sen. Cory Booker, for instance, wowed hundreds of party activists at the Iowa Democratic Party’s annual fall fundraising banquet in October. Likewise, California Sen. Kamala Harris lit up a crowd in Iowa City and met with influential female candidates and activists in suburban Des Moines.